Fact of the day – more perfume is sold at Heathrow than any other location in the UK. Isn’t that amazing? I had no idea – there are so many beauty halls and perfume stores around this fair land, it was such a surprise to learn that Heathrow was the ultimate scent destination… but, the more I think about it, the more it makes sense. 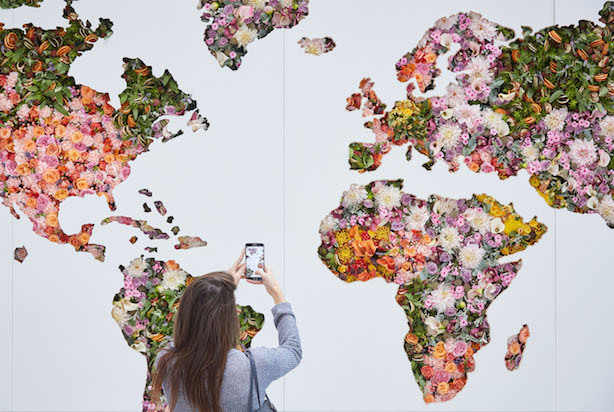 To celebrate, the airport has unveiled a GIANT floral map of the world in Terminal 5, created by the extremely talented florist Larry Walsh, who’s used around 2,000 fresh flowers in his impressive 11ft by 18ft map. For example, us Brits tend to favour roses, while lavender and orange blossom tantalize the senses in the US and Mexico. Fresh scents including mint and mandarin feature as favourites in India, whilst spicier, oriental scents such as cinnamon and ginger are preferred by those in the UAE. The most popular scents across the globe were revealed to be… (see if you can guess – I’ve popped them at the bottom of this post!) 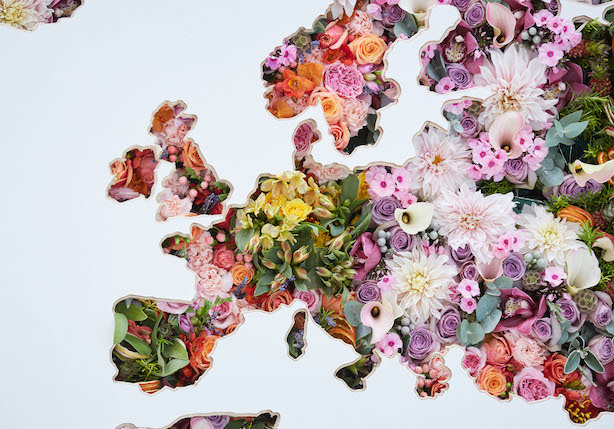 These scents are represented in the map itself – it’s absolutely fabulous. And the reasons we buy perfume are even more fascinating – Heathrow’s new fragrance report also reveals as a nation, Germany are most likely to follow their nose when choosing a new fragrance, while India is all about the brand name, with nearly a quarter of the people asked admitting that they would choose a fragrance based on the designer. China are the most led by iconic scents and are attracted to them because of their popularity and globally, it seems that Brits are the least likely to be influenced by celebrities, with only two per cent choosing a fragrance based on a celebrity endorsement. (I’m actually rather proud of that). 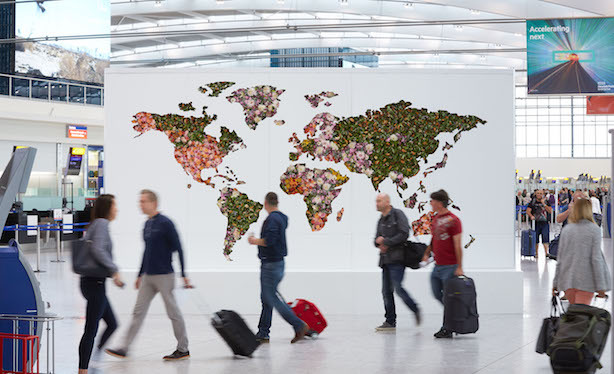 Heathrow’s Fragrance Report is a little window into the hearts, souls and memories of people around the world and I just love it – what a wonderful thing! 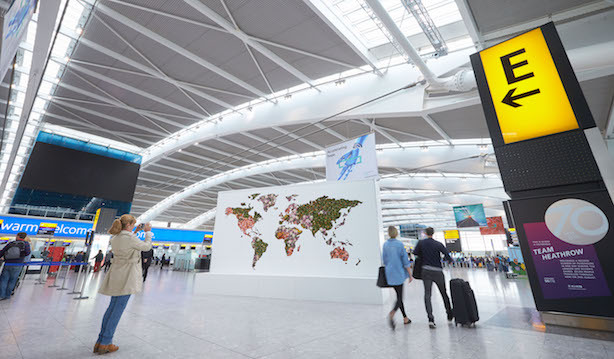 The map is absolutely stunning and if you are lucky enough to spot it in Terminal 5 before you jetset off to your luxury destination (if you say it, it will happen) (completely untrue but it’s worth a shot, no?) please do take a photo and tag me in on instagram – I’d love to see it! This post was sponsored by Heathrow Airport and all thoughts and opinions are my own. I love this kind of information! Classifying countries by fragrance is such a nice thing to be able to do when so much of the international news is depressing.